Stuart is an accomplished needlework artist who creates his own designs, drafting them first on paper. Based in Strathpeffer, he enjoys the creativity involved in making his designs, each a labour of love, but the design is only the beginning of the process. Subsequently begins the task of painstakingly realising his design onto a specially imported Aida cloth, not available in the UK. Stuart makes his needleworks available for sale and illustrated here are the ones we have photographed since we started framing them for him. Each cross-stitch is priced at £25. If you would like to order one you can contact Stuart on 07510 909383. 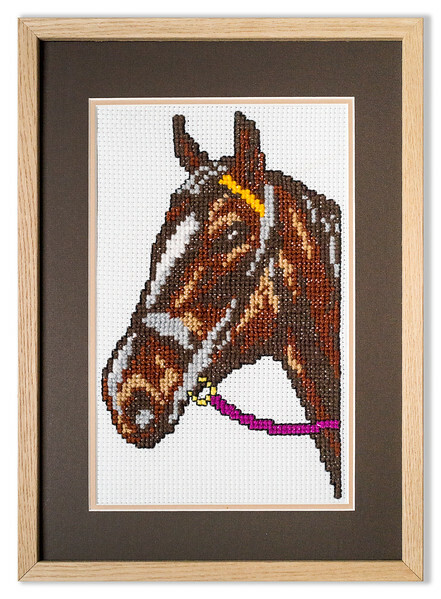 If you would like Picture Framing For You to frame a cross-stitch ordered from Stuart then please use our contact page to get in touch. We can frame Stuart's needlework exactly as shown below (providing that the same mountboards and mouldings are still available) or discuss with you alternative framing choices and costs. 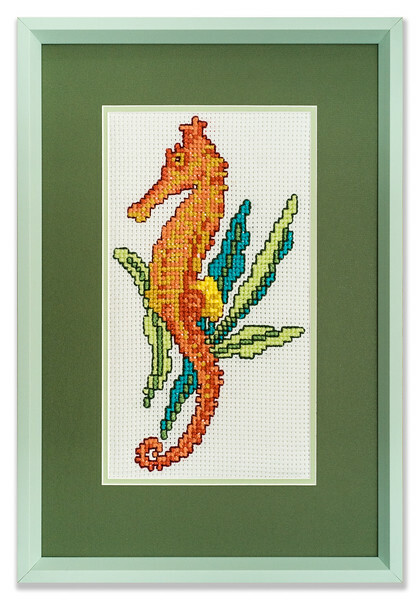 Cross-stitch framed by Picture Framing For You. A bespoke design featuring icons of spring, framed with a double Artcare mount and a frame from the Niielsen Bainbridge Chagal range of mouldings. 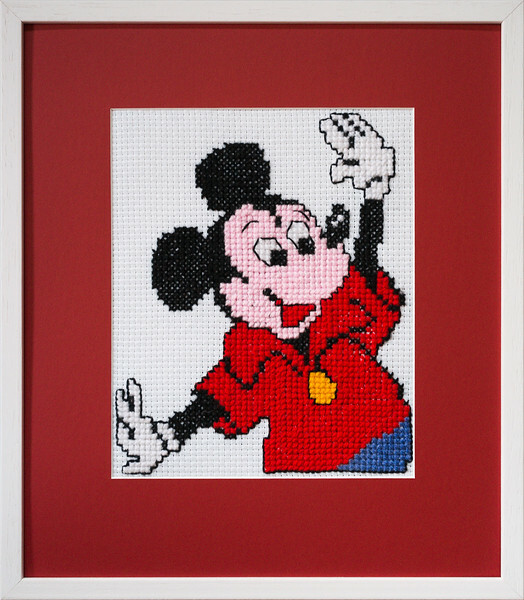 Bespoke needlework design by Stuart Beattie, Mickey Mouse. This cross-stitch was single mounted with Artcare mountboard and framed with a moulding from the Nielsen Bainbridge 'Loft' range. 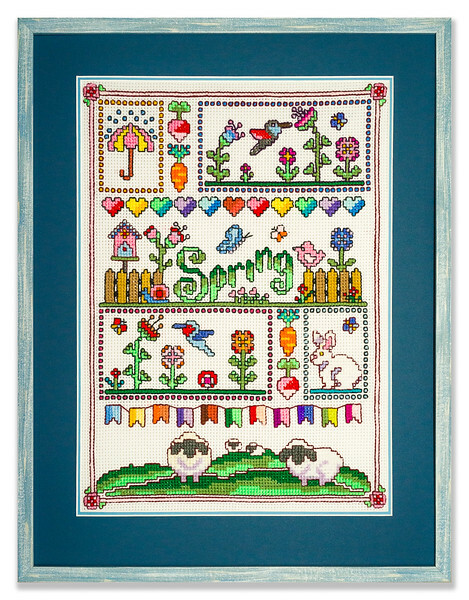 The needlework dimensions are 210mm x 260mm and the frame size is 342mm x 402mm. 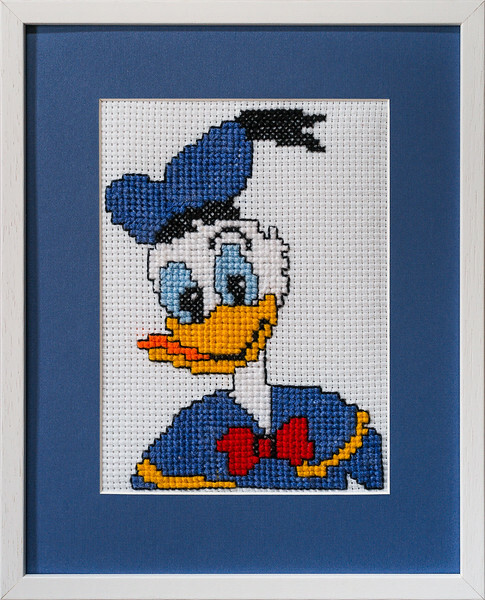 Bespoke needlework design by Stuart Beattie, Donald Duck. This cross-stitch was single mounted with Artcare mountboard and framed with a moulding from the Nielsen Bainbridge 'Loft' range. The needlework dimensions are 184mm x 252mm and the frame size is 290mm x 364mm. 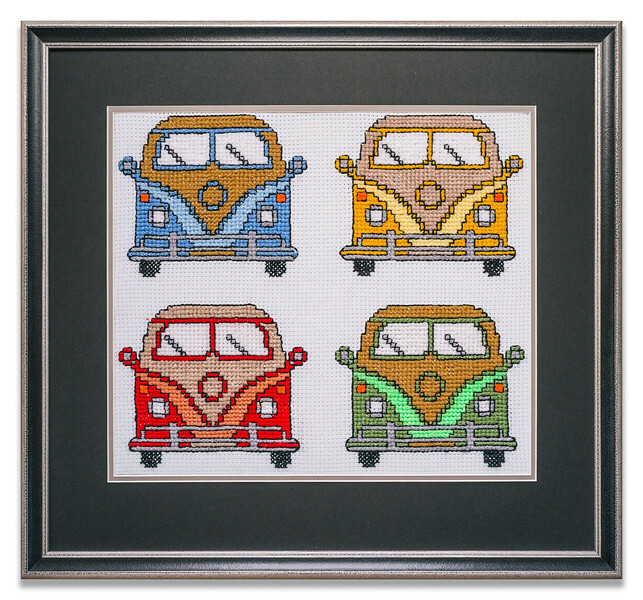 Bespoke needlework design by Stuart Beattie, Camper Vans. This cross-stitch was double mounted with Artcare mountboard and framed with a moulding from the Nielsen Bainbridge 'Aurora' range. 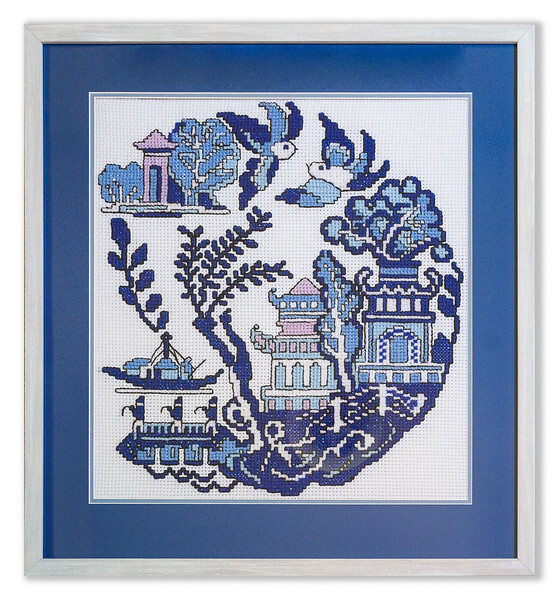 The needlework dimensions are 390mm x 340mm and the frame size is 522mm x 482mm. 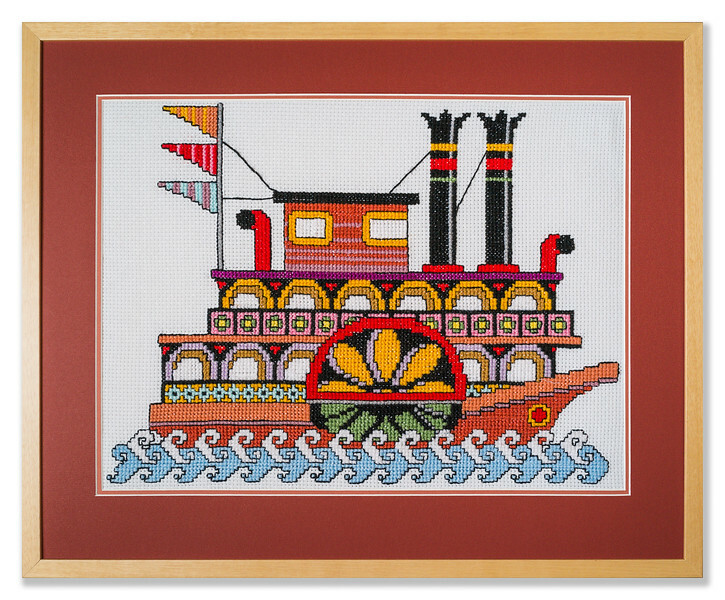 Bespoke needlework design by Stuart Beattie, Mississippi Steamboat. This cross-stitch was double mounted with Artcare mountboard and framed with a moulding from the Nielsen Bainbridge 'Basics' range. 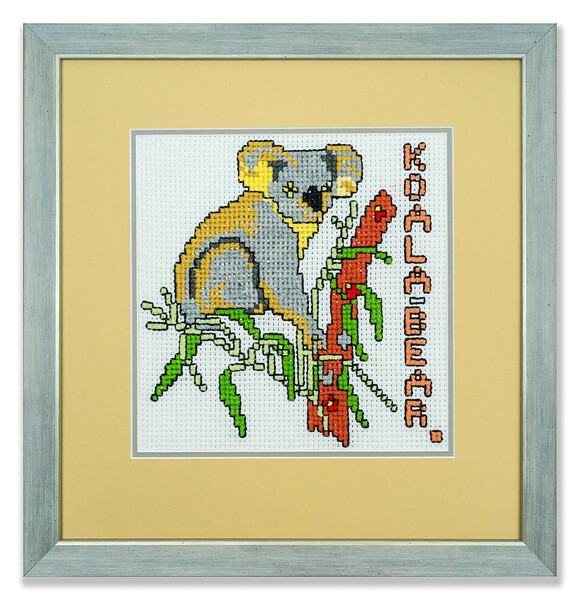 The needlework dimensions are 544mm x 404mm and the frame size is 676mm x 546mm. 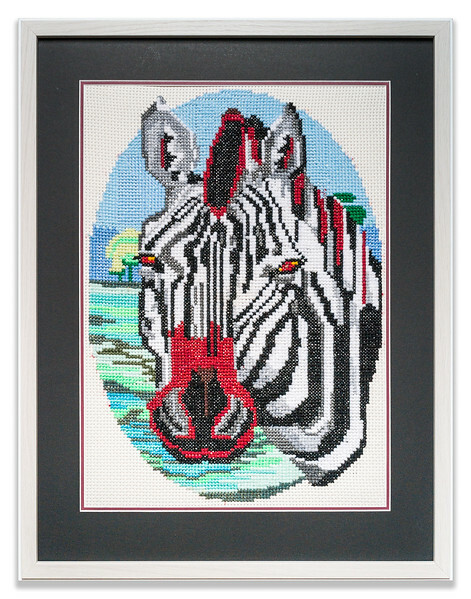 Bespoke needlework design by Stuart Beattie, Zebra. This cross-stitch was double mounted with Artcare mountboard and framed with a moulding from the Nielsen Bainbridge 'Stockholm' range. The needlework dimensions are 384mm x 536mm and the frame size is 516mm x 678mm. Bespoke needlework design by Stuart Beattie, Rose. 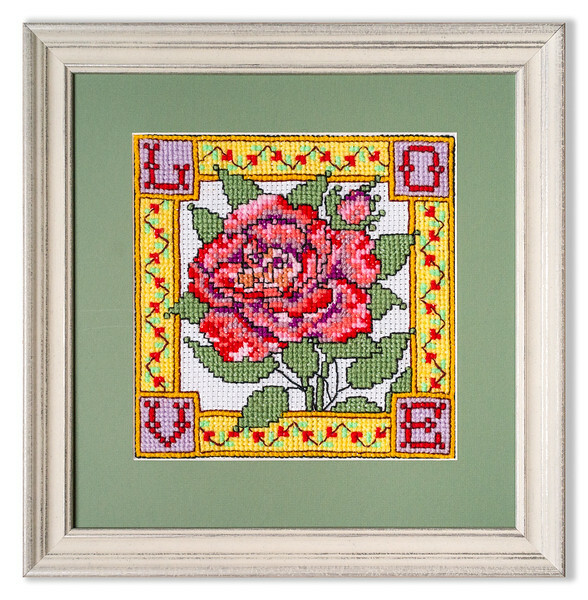 This cross-stitch was single mounted with Artcare mountboard and framed with a moulding from the Nielsen Bainbridge 'Provencale' range. The needlework dimensions are 253mm x 253mm and the frame size is 359mm x 365mm. This cross-stitch was double mounted with Artcare mountboard and framed with a moulding from the Nielsen Bainbridge 'Moma' range. The needlework dimensions are 207mm x 332mm and the frame size is 313mm x 444mm. 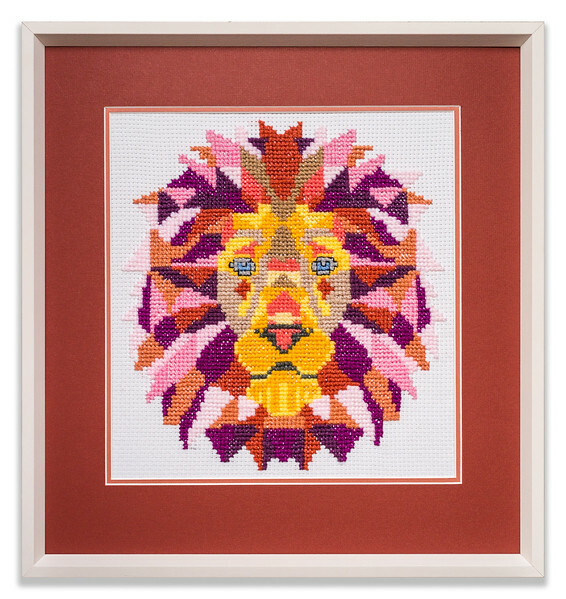 Bespoke needlework design by Stuart Beattie, Lion. This cross-stitch was double mounted with Artcare mountboard and framed with a moulding from the Nielsen Bainbridge 'Home' range. The needlework dimensions are 320mm x 341mm and the frame size is 452mm x 483mm. Bespoke needlework design by Stuart Beattie, Horse 2. This cross-stitch was double mounted with Artcare mountboard and framed with a moulding from the Nielsen Bainbridge 'Living' range. The needlework dimensions are 340mm x 330mm and the frame size is 472mm x 472mm. 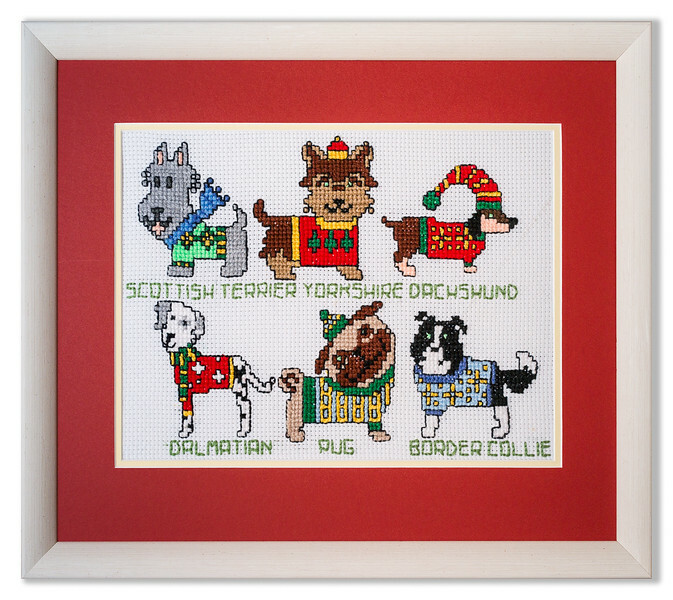 Bespoke needlework design by Stuart Beattie, Christmas Dogs. 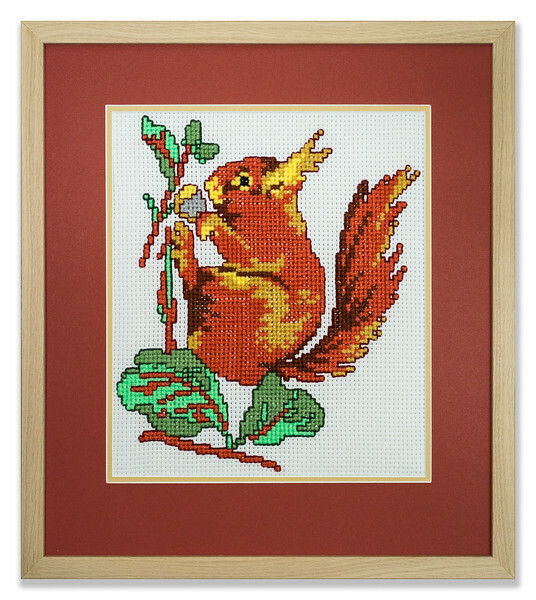 This cross-stitch was double mounted with Artcare mountboard and framed with a moulding from the Nielsen Bainbridge 'Woodtones' range. The needlework dimensions are 412mm x 286mm and the frame size is 544mm x 428mm. 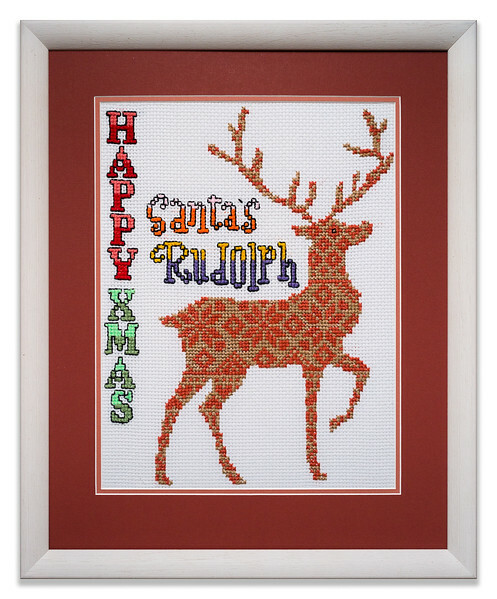 Bespoke needlework design by Stuart Beattie, 'Santa's Rudolph'. 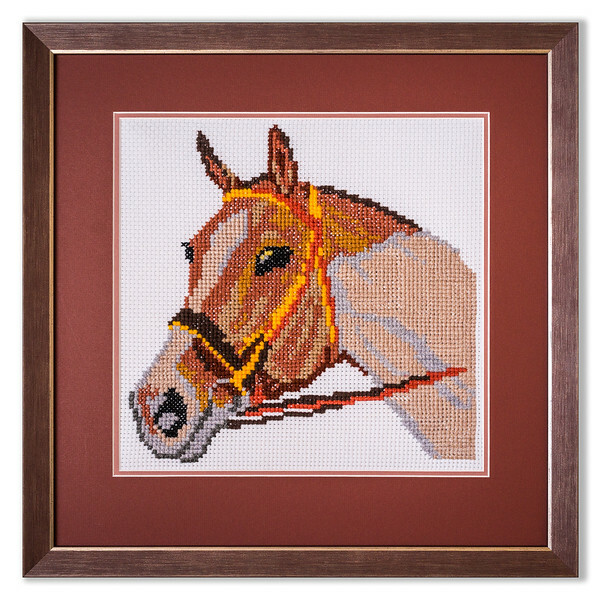 This cross-stitch was double mounted with Artcare mountboard and framed with a moulding from the Nielsen Bainbridge 'Woodtones' range. The needlework dimensions are 341mm x 445mm and the frame size is 473mm x 587mm. Stretched then double mounted with Artcare mountboard and framed with a moulding fron Nielsen-Bainbridge's Oakwoods range. Stretched then double mounted with Artcare mountboard and framed with a moulding fron Nielsen-Bainbridge's Living range. Stretched then double mounted with Artcare mountboard and framed with a moulding fron Nielsen-Bainbridge's Home range.